We were very pleased with our stay this week and were able to work in our splendid, newly installed workshop. 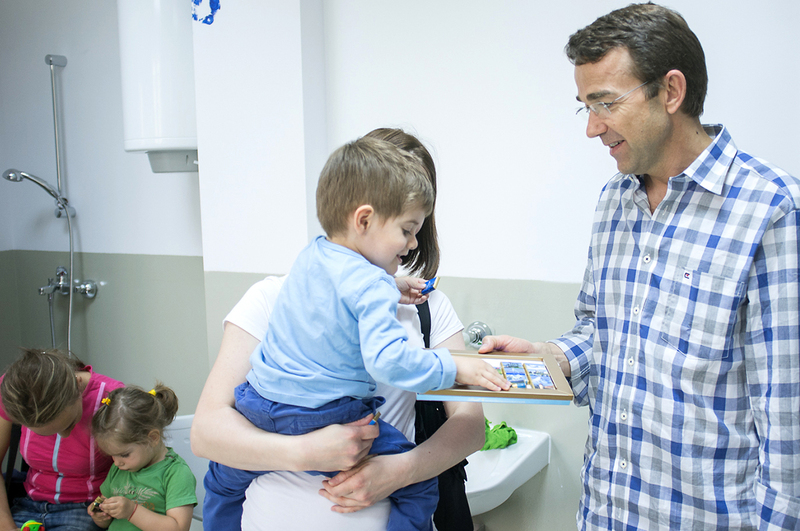 The consultations take place at premises that are both comfortable and welcoming for children and their parents, and the orthopaedic technicians benefit from excellent working conditions. In close cooperation with Angel, one of Dr Gyurov’s employees, Ketsia and Kylian produced the 13 orthoses required for this stay. We also examined 12 new cases in detail and monitored a number of children, with a total of 60 children seen during this stay. The foundation has established a high profile in Bulgaria, and parents and children come to us from all around the country, which means that there is a high demand for consultations. Unfortunately, we are unable to satisfy this demand immediately, but we are of course committed to doing so as soon as possible. In addition to Angel (a Bulgarian technician who we trained to produce walking orthoses), we now have two new local candidates who are very interested in specialising in this area. Following discussions with Dr Gyurov, we have decided to gradually integrate these candidates into the team during our next stay. 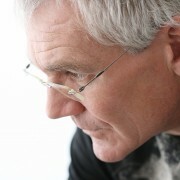 Dr Gyurov will work with them from time to time at his workshop in Sofia. One of these two candidates, Mladen, also visited the workshop for a few days this summer. 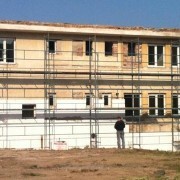 Completion of renovation work to the building is progressing bit by bit. 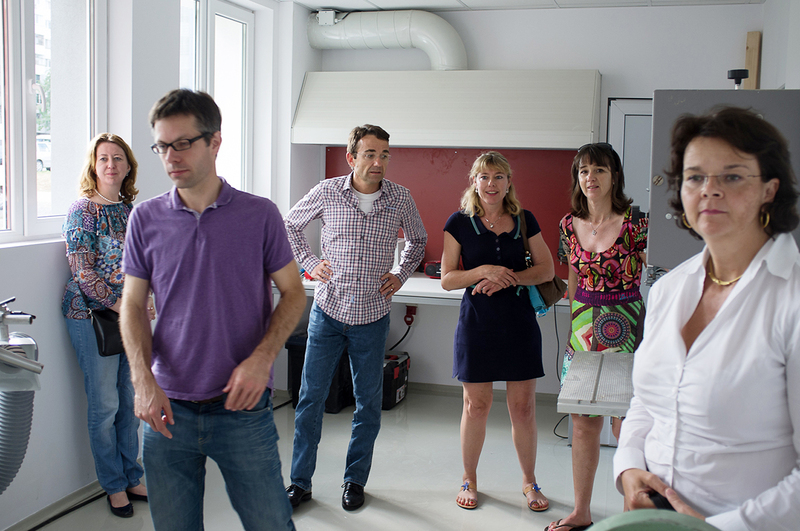 The key work was carried out for the inauguration in June 2013: the workshop and apartment, which provides accommodation for our Swiss technicians, are functional and the first rooms on the second floor are ready (we stayed there this week). Still to be done are construction of a games room next to the waiting room and renovation work to the outside of the building, etc. In order to do this, we need to continue our efforts in finding funds and donors. Our next stay is planned for 18 to 24 November 2013. 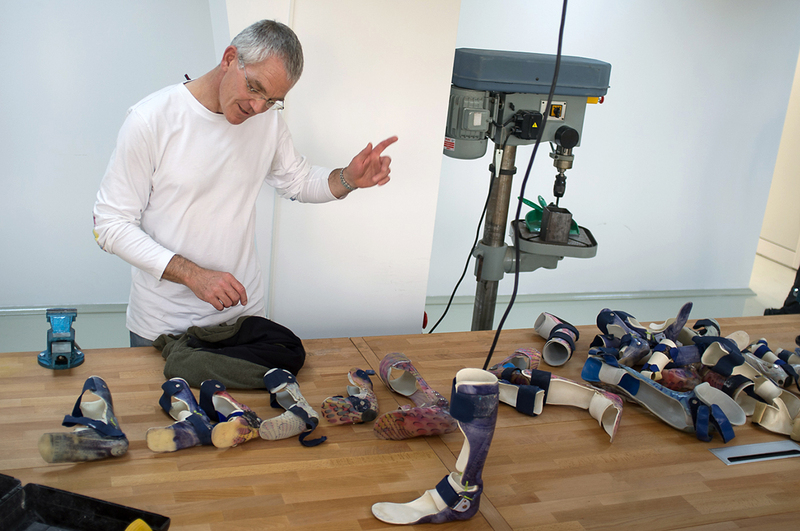 In November 2008, the Swissclinical Foundation produced its first orthosis in Stara Zagora as part of its humanitarian engagement in Bulgaria. 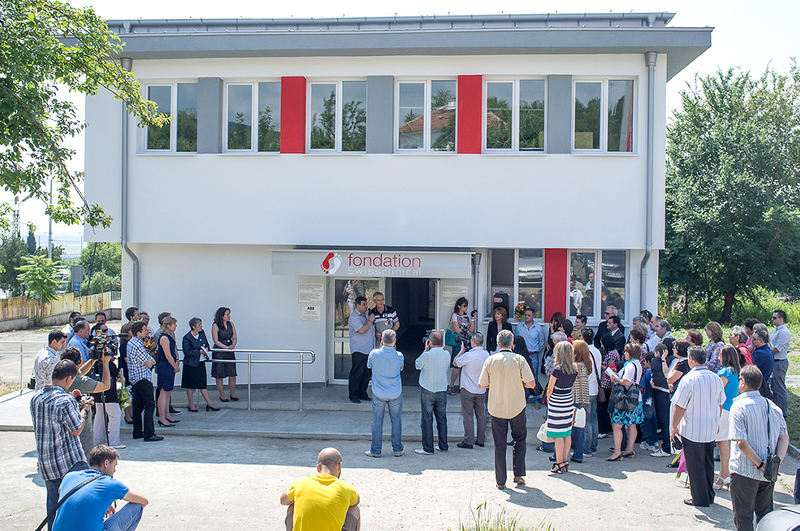 On 7 June 2013, some four and a half years later, after carrying out an in-depth orthopaedic assessment of more than 350 children and treating more than 110 of these either surgically or using orthotics and prosthetics, we had the great pleasure of opening our own orthopaedic workshop in Stara Zagora. 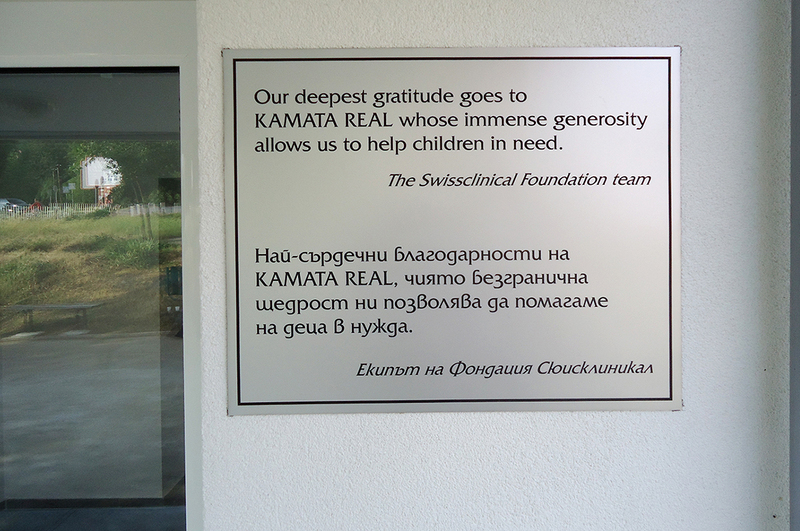 The main objective of our mission has been achieved thanks to the generosity of Kamata Real and Banque Cantonale Vaudoise, and all the donors to the Foundation. This remarkable workshop was set up in a record time of just a few months, including the complete renovation of the building, the installation of machines and orthopaedic tools, and the fitting-out of the apartment for the technicians. All this was made possible due to the unconditional commitment of the local construction companies and their workers, who have done a great job. We were also able to see first-hand, at the end of the construction work, the enthusiasm and delight these workers took in their involvement in the development of this workshop – a place that serves both as a meeting point and a treatment centre for disadvantaged children. 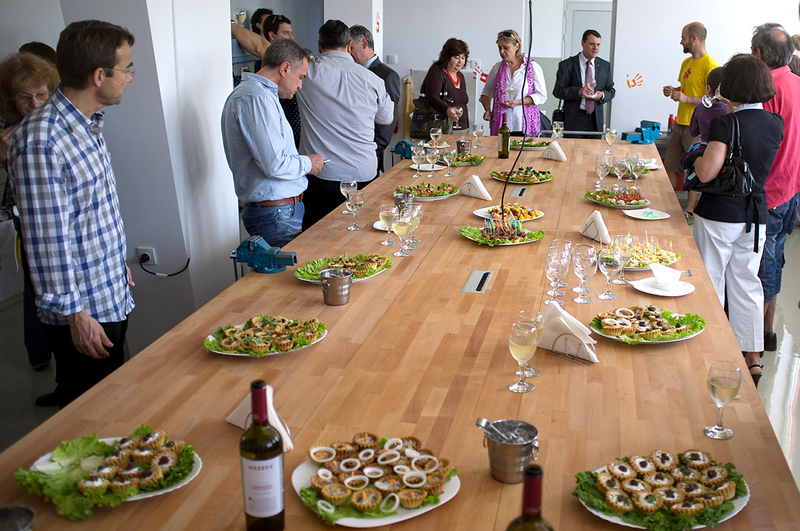 The opening of the workshop took place on the morning of 7 June 2013. – Watch the video – Attendees included representatives of the municipality of Stara Zagora, a representative of the Swiss Embassy in Bulgaria, a delegation from Banque Cantonale Vaudoise, Enrique and Lilian Drescher (Kamata Real) and most of our partners and friends in Bulgaria. We are all very proud of this result, not only because the workshop is superb, very well equipped and located in spacious premises – thus ensuring excellent working conditions – but also because we are able to offer excellent training to future Bulgarian technicians. The building is fully owned by the Foundation, enabling us to establish our humanitarian work in Bulgaria over the long term. 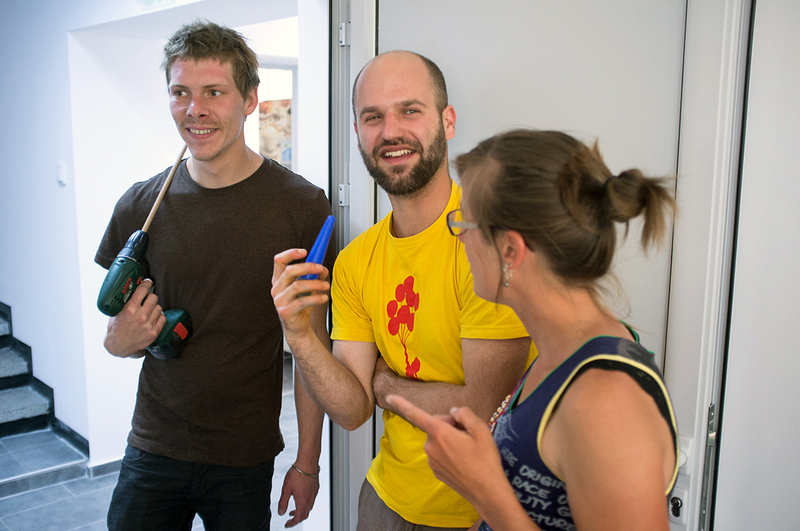 Although most of the work during this week was devoted to fitting out the workshop with the help of our three technicians, Ketsia, Dimitri and Kylian, we also produced our first orthosis in order to ensure that all the equipment worked as it should. We certainly had a lot of work to do when it came to the consultations: 70 children were seen from Monday to Saturday, mainly in the clinic on our premises. We were also able to see two children who, at the request of the Swissclinical Foundation, had been fitted with pairs of tibial orthoses by Angel, a colleague of Dr Gyurov. 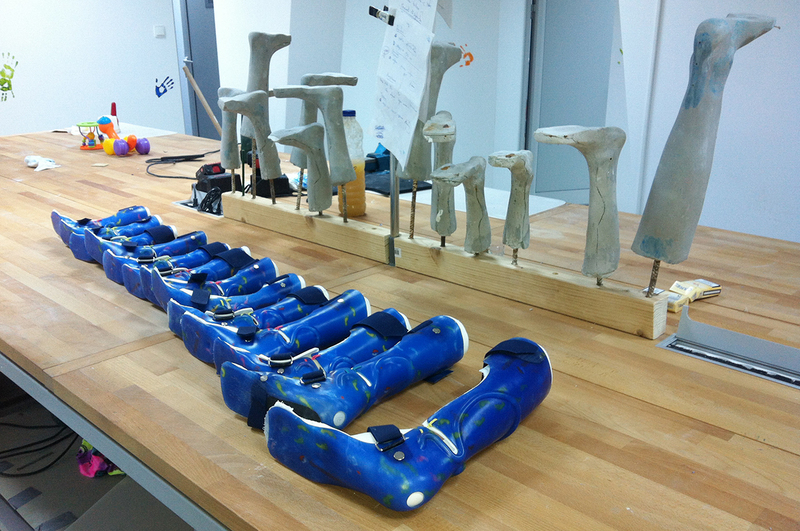 We had taught Angel how to produce these orthoses and we were able to see how perfectly they had been made, which proved to us the effectiveness of our training programme in orthopaedic equipment for Bulgarian technicians. We returned to Switzerland with some great memories of our time in Bulgaria and we are already very much looking forward to returning next September to continue with our mission. An unremarkable week of medical activity and once again, a lot of new children’s cases have been assessed. 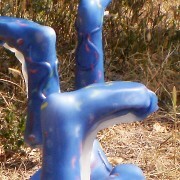 Among them, four required equipment for orthotics. As the Foundation can not assist all cases any longer, half of them were sent directly to Dr Gyurov, who can now make braces alongside Angel. The current balance is once again very positive. Our next trip will take place in June probably in our brand new workshop. Building permits were issued and the renovations of our building should begin shortly. The official inauguration of our workshop is scheduled for Friday June 7th 2013. An intense week’s work, carried out in an excellent working environment during which many renewals were made on orthotic walking apparatuses. We could count on the collaboration of Dr. Jovko Gyurov’s technicians: Angel, who was there all week, as well as Georgi and Stanimir, the technician who was involved in the production of anatomical shells to improve posture. On the foundation front, not only Kilian and Dimitri were present but, for the second time, Ketsia was able to spend another week in Bulgaria with us. She has already confirmed her presence at our next visit in March. Follow-ups were carried out on almost 50 children and several new cases were examined. 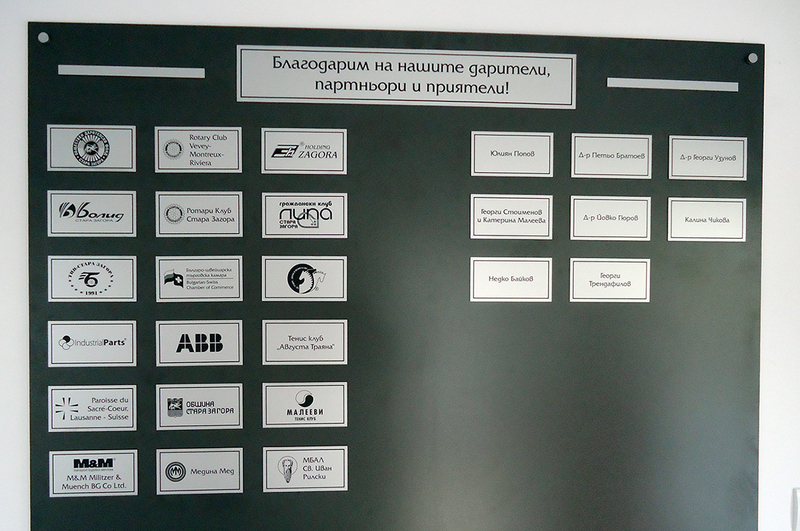 Our orthopaedic medical activity in Bulgaria is increasingly visible and strong. We continue to be approached by many parents asking us to carry out examinations on their children & possibly take them into the foundation’s care. Renovation plans for the Foundation’s new building in Stara Zagora will soon be submitted to the City’s authorities. The early work is planned for late March and if all goes well, the workshop should be operational before summer 2013. Activity continues at a very fast pace thanks to a collaboration between the ever-efficient medical staff and Angel, who makes the orthotics. Apart from the medical and orthopaedic side of things, this week has been marked by an essential step in the Foundation’s mission. 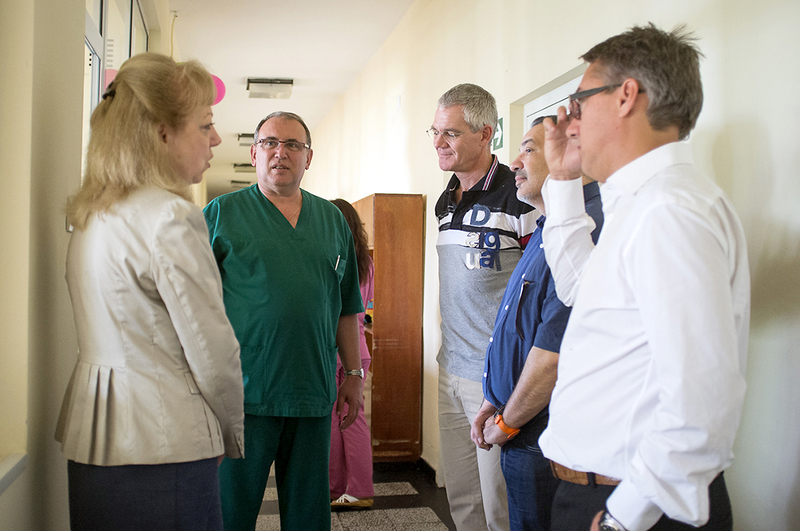 One of the first goals, set at the beginning of our commitment in Bulgaria, was to set up an orthopaedic workshop of our own where staff training and equipment production could take place. We are delighted to say that this goal has been reached! 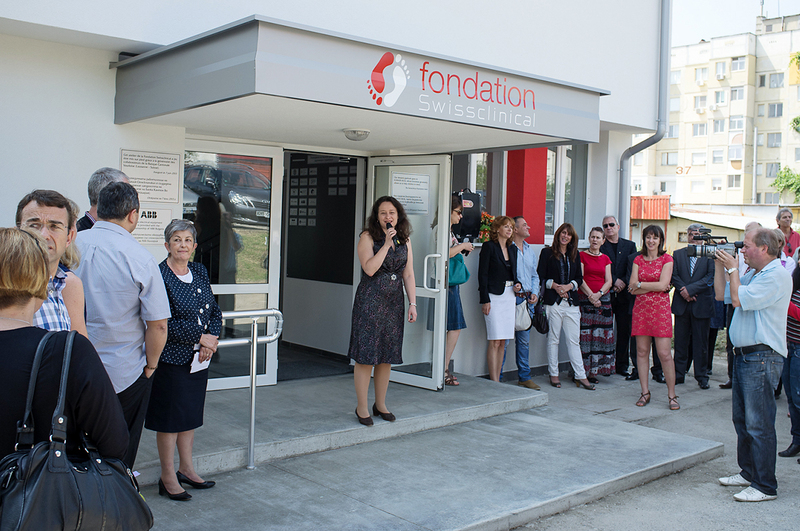 The President of the Foundation, François Fragnière and Manuela Maleeva have together signed the notary documents for the purchase of a building in the city of Stara Zagora. We thank our generous sponsors, especially the BCV and Kamata, without whom our dream would not have been realised. Two architects, Stéphanie Link and Jean-Pierre Dind from Link SA , have also come on board to assess the work required and plan the renovation work of the building. They also established a good relationship with the people who will be mandated to work on this project. The next step is to submit detailed renovation and construction plans and obtain all the necessary permits required for these works, before the end of December. This trip was hugely satisfying for the whole team. We return enriched and more motivated to continue our commitment in Bulgaria. 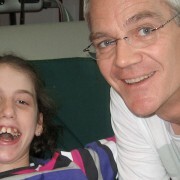 Next visit in January 2013 will see surgery procedures planned, many more examinations carried out and, as usual, lots of new children taken into our care.